Do You Know What to Look for in a Local Bond Company? Although many people try, you can never really truly prepare for an emergency. That doesn’t mean that you shouldn’t have a plan in place, however. That’s why in today’s post we’d like to highlight a scenario that no one ever hopes to encounter. We are speaking, of course, about getting the late-night phone call that a loved one has been arrested. Your heart starts to beat fast and your adrenaline kicks in. It can make it difficult to think clearly, but it doesn’t mean that the situation is any less urgent. We don’t say any of this to make things worse; instead, we want to help you come up with a plan that you know will make a difference if the time ever comes (although we hope it doesn’t!). Your first order of business will likely be to speak with a bail bond company. But do you know what to look for? Is it okay to contact the first one you come across? Aren’t they all the same thing? The answer is that you don’t want to add any more stress on top of an already stressful situation, so it makes sense to know who you’re going to call. 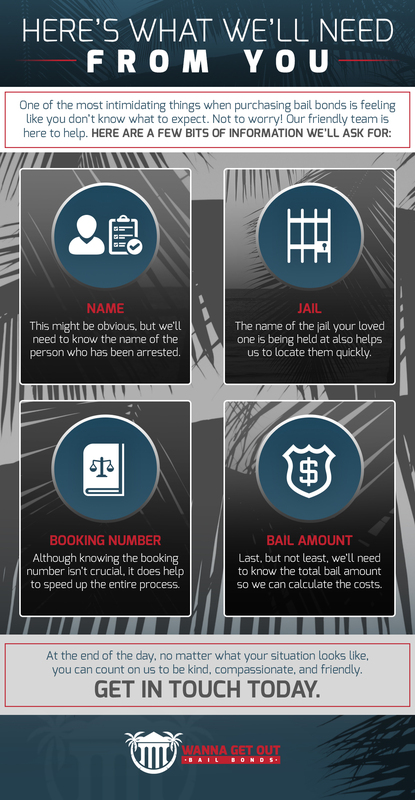 At Wanna Get Out Bail Bonds in Honolulu, our goal is to be the team that you turn to when you need help the most. What can you expect from us, you ask? Keep reading to find out. Finding a bondsman who has plenty of experience is absolutely crucial to your overall experience. After all, the last thing you’d want is to have someone who’s new to the game and doesn’t know how to contact the local jails. Worse yet, you could end up purchasing a less-than-ideal bail bond because you don’t know that there are other options…you know, because the person you were talking with didn’t tell you because he or she probably didn’t know. When it comes right down to it, the experience that we bring to the table is absolutely invaluable in the middle of a stressful situation. As you may have seen elsewhere on our website, we’re happy to offer free bond advice. In other words, no matter what your situation looks like, you can count on us to provide you with options tailored to suit your specific needs. Experience is key and that’s exactly what you can expect from us when you call. We have been around long enough to have seen it all and that means that we can help you too. Another crucial quality that you hope for from a bond agency is a sense of urgency for your situation. It’s likely that you don’t want your loved one to have to spend one unnecessary minute in jail. That makes sense! Taking the time to find a bondsman only to have him or her drag their feet on the process isn’t something anyone wants to deal with. Fortunately our team makes urgency one of our highest priorities. Simply provide us with the information about your loved one, the jail he or she is in, and a booking number if you have it and we can take care of the rest quickly. The quicker your loved one gets out of jail, the sooner he or she can get back to work and start preparing for their upcoming trial. Time is often of the essence and the good news is that you can count on us to work fast. Perhaps the most underrated thing that people look for in a bond agency is a sense of compassion, but the truth is that it can make all the difference in the world to someone who is going through a particularly tough time. It might not be something that you’re expecting, but take it from us when we say that having someone who understands what you’re going through is important. After all, you don’t want to deal with someone who has an attitude about providing you with a much-needed service. The good news is that when you turn to us you can expect to be greeted warmly. We often say that we treat our clients like family and we mean it. We know just what you’re going through. We’ve been there before. That means that we’re in the unique position not only to help you in the form of a bail bond but also in the form of understanding. No matter what you’re up against, you can count on us to provide you with not only the information you need but also a kind word of encouragement during a difficult time. No matter the situation, no matter the time of day or night, we want you to know that you can count on the team at WGOBB to be there for you when you need help the most. 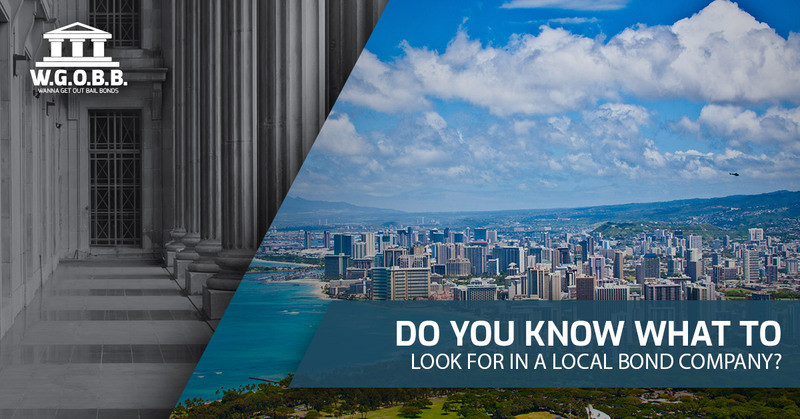 We’re located in Honolulu but we proudly serve the entire island of Oahu. With a track record of success and the ability to be flexible (thanks to the fact that we accept collect calls, offer up to a 20% discount for paid in full accounts, require no collateral on most bonds, and provide flexible payment plans with zero interest), you can count on us in your time of need. Contact the team at Wanna Get Out Bail Bonds today. We’ll be here to take your call.